Next month, the US Food and Drug Administration will hold a two-day public meeting to discuss genetic modification within the human egg, which changes will be passed on generationally. The United Kingdom is also moving to allow GM babies. 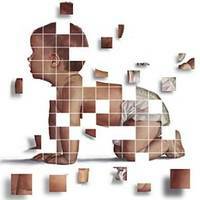 The game changed with the successful birth of at least 30 genetically modified babies by 2001. Half of the babies engineered from one clinic developed defects, so the FDA stepped in and asserted jurisdiction over “the use of human cells that receive genetic material by means other than the union of gamete nuclei” (sperm and egg nuclei). Now the FDA is considering going forward with “oocyte modification” which involves genetic material from a second woman, whereby offspring will carry the DNA from three parents. These kinds of genetic changes (“germline modification”) alter the human genome. With ooplasmic transfer, the technique injects healthy mitochondrial DNA from a donor into the egg of an infertile woman. Mitochondrial DNA floats outside a cell’s nucleus which contains the regular DNA, and is only inherited from the mother. This is the first such meeting ever to be held in public by the FDA, reports Biopolitical Times (BPT), speculating that the meeting will likely include discussing a mitochondrial replacement technique developed by Shoukhrat Mitalipov at Oregon Health and Science University (OHSU). Notes the BPT, “mitochondrial replacement is a form of inheritable genetic modification.” This type of gene therapy is the source of much controversy, because it permanently changes the human genome and risks unforeseeable changes in growth and development, and aging. As late as 2008, all germline modification therapies and enhancements were banned in 83% of the 30 nations making up the OECD (Organization for Economic Cooperation and Development), including the US and UK, reports the Center for Genetics and Society (CGS). In June of this year, the United Kingdom reversed its long-standing policy against germline modification, and decided to go ahead with three-parent babies. Regulations on the procedure are now being drafted and Members of Parliament are expected to vote on the issue in 2014. “If the FDA gives the OHSU researchers a green light to move towards human clinical trials, it will be the first instance of regulatory approval for human germline modification ever, anywhere in the world. As with genetically modified crops, a host of unforeseen and deleterious consequences may develop when we begin modifying humans with genes their children will inherit. GM feed is linked with infertility and spontaneous abortions in livestock, and crops modified to be insecticidal are linked to declining pollinator populations, especially bees, moths and bats. But another argument against germline modification is that it will lead to designer babies and a new class of underdogs – those who cannot afford genetic enhancement. Eugenicists and futurists like Ray Kurzweil (The Singularity Is Near, 2006) foresee and welcome the convergence of the NBIC fields that can improve human performance: nanotechnology, biotechnology, information technology and cognitive science. In 2001, over 50 policy makers and scientists from a range of fields contributed to a National Science Foundation-sponsored workshop on converging NBIC technologies. Within the individual, group and societal level discussions, they addressed key areas of human activity: working, learning, aging, group interaction and human evolution. The consensus reached was to focus a national R&D priority on human enhancement. In re-opening the allowance for GM babies, whose genetic changes will be passed on to future generations, the FDA is taking the next steps toward toeing the line on genetic human enhancement. In addition to accepting written comments, the FDA, in collaboration with the Office of Cellular Tissue and Gene Therapies Center for Biologics Evaluation and Research, will also provide a free webcast of the two-day discussion. The meeting may be rescheduled without notice, the FDA warns.